I started mentoring youth in 1998 and have continued to this day in two different mentoring organizations. I’ve been lucky to be matched with three boys and two of them are now about to graduate from college. 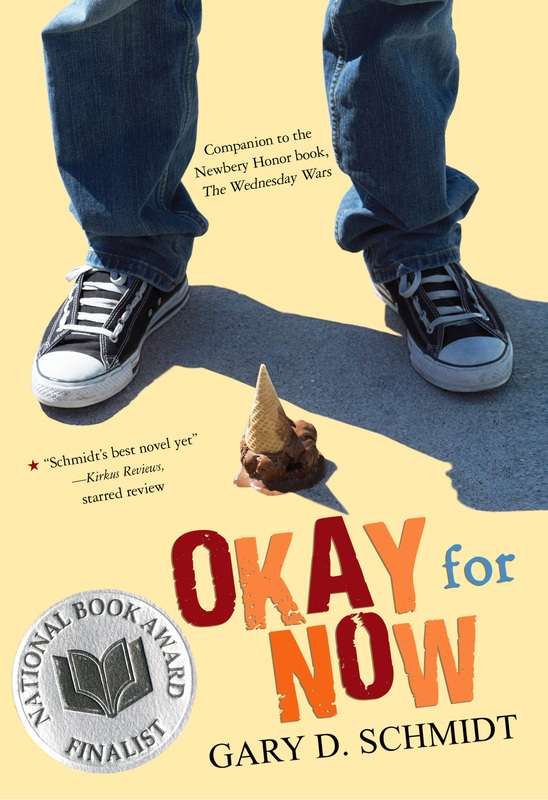 Gary D. Schmidt’s, OKAY FOR NOW, is one I would have shared with them back when they were 11 or 12. The story gives hope to those who think maybe things aren’t so good in their life. Doug, the eighth grade protagonist, is a tough kid with a difficult family. The subject matter and length would be better suited to an upper middle grade audience. Not for any harsh language, but for some of the less than pleasant events going on in Doug’s life. FULL PLOT (From GoodReads):Okay For Now, explores another seemingly improbable alliance, this one between new outsider in town Doug Swieteck and Lil Spicer, the savvy spitfire daughter of his deli owner boss. With her challenging assistance, Doug discovers new sides of himself. Along the way, he also readjusts his relationship with his abusive father, his school peers, and his older brother, a newly returned war victim of Vietnam. Every person no matter what age should have a goal or mission in life and Doug has a great one: To replace the missing pictures in an original James John Audubon book stored at the local library. This is what keeps Doug moving forward despite the unfortunate happenings in his life. He feels the drawings of birds belong back in the book instead of on people’s walls. As he did in Wednesday Wars, the arts become a crucial subplot in Gary’s writing. This time it’s a boy learning how to draw and a Broadway play that provides the key scenes. Heartwarming, tragic, and funny, sometimes all at once. The setting is 1968 with the Vietnam War raging and the Apollo space missions are inching closer to a man walking on the moon. Both are expertly woven into the main plot. Each chapter is titled and pictured by one of the original Audubon plates from Birds of America. It’s not just for show either as each image is important to Doug in some way. Doug is complex and a far from perfect character. He has a lot to hide but by the end we know how he survives. The adults in his life are even less perfect, but each of them get redemption is a way I find missing in many stories. Okay for Now will have you feeling okay forever. The bird was falling and there wasn’t a single thing in the world that cared at all. It was the most terrifying picture I had ever seen. 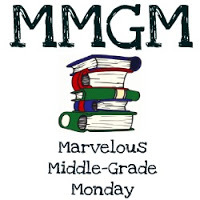 This entry was posted in Reviews and tagged Gary D. Schmidt, Middle grade, Middle Grade Book Reviews, MMGM, Okay for Now. Bookmark the permalink. Kudos to you for mentoring. I have yet to read this one by Gary D. Schmidt, but thoroughly enjoyed The Wednesday Wars. It’s a bit darker than The Wednesday Wars but funny and heartwarming nonetheless. The main character from The Wednesday Wars even makes a brief appearance.